CDAC Academic Partner Przemek Dera has been approved for tenure and promoted to Full Professor in the School of Ocean and Earth Science and Technology at the University of Hawai'i at Manoa. Dera worked at Carnegie from 2000 until 2007, first as Barbara McClintock Postdoctoral Fellow, and then as Associate Staff Scientist, and has been closely collaborating with CDAC scientists and academic partners from the inception of CDAC. Dera became a CDAC Academic Partner in 2013, after moving to the University of Hawai'i. 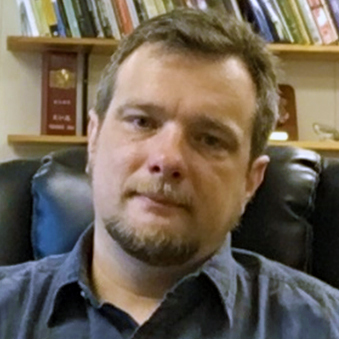 His work focuses on the application of synchrotron crystallography techniques to geophysical and materials science problems at extreme conditions, such as structural phase transitions in the Earth's mantle, spin transitions in iron-bearing minerals and the thermodynamics of materials. He has also been actively developing new experimental methods and software for high-pressure crystallography for over a decade.